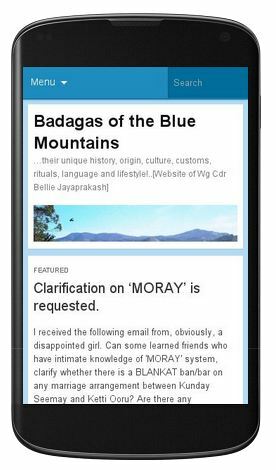 Badaga/Badagu is a rich and sweet language spoken by the Badagas of the Blue Mountains! Many BALLADS rendered by a singer in any Badaga gathering had added richness to this unique language apart from bringing out many traditions that were passed down many generations. 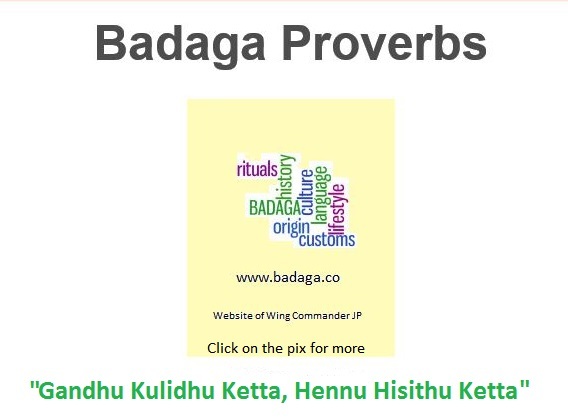 Though, not having a script of its own is a handicap, many Badaga poets have kept the great art of blending beautifully the Badaga words, by composing many poems where the play of words rhyme so well and sounds musical. One such poem is ENNA AVVAY – MY MOTHER by Kunna Bikkatti B.MOHAN (published in 1993) that brings out the true and pure love of a mother for her son. Hollandhu Hegule Maathi Allandhu thallule. Kettandhu Hegule Awai Enna Mattandhu Thallule. Gorey Endhu Hegule Awai Ondhu Ariandhu Nudivile. My mother never said that I was down ; never rejected me as poor!